One of the “holy grails” of continuous process improvement is the reliable collection and analysis of real-time data. At Southern California Edison (SCE), one of the largest utilities in the United States, this fine level of data is being given not only to the process improvement teams, but to their customers, as well, in the form of the SmartConnect program. In 2009, SCE began updating its power grid by replacing many of its older, mechanical power meters with “smart meters” that can interface with appliances, thermostats and other electrical systems. By communicating with electrical components in homes and businesses, the digital SmartConnect meters can send information about peak electrical demand in real time and automatically reduce power to noncritical systems in order to save energy. Consumers can also see the amount of energy being used in their homes in business in 15-minute increments, allowing them to have greater control over the amount of power they use. All this change for SCE customers will, of course, require a healthy dose of change management and leadership, which are some of the main concerns of Paula Campbell, the Keynote Speaker at the iSixSigma Live! 2011 Energy Forum for Process Excellence, being held May 16-19 in Houston. Next Wednesday, Campbell, the director of SCE’s SmartConnect Program Office, will give a presentation, “How Quality Management is Helping SCE Build a Smarter, Cleaner Energy Future with its Customers,” in which she will discuss the project management challenges she faces. As of this month, the ambitious SmartConnect project has installed more than 2.5 million smart meters and is well on its way toward meeting its goal of replacing 5 million meters with smart technology for its residential and small-business customers by the end of 2012. 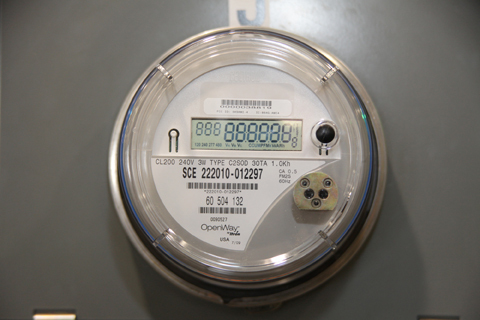 According to SCE estimates, once all of the SmartConnect meters are installed, the utility’s customers will use 1,000 fewer megawatts, which will reduce greenhouse gas emissions by up to 365,000 metric tons per year. In her keynote, Campbell will provide a high-level overview of how SCE implemented a quality management plan and a customer engagement strategy for the rollout of the SmartConnect program over SCE’s enormous 50,000-square-mile service area. Forum attendees will learn how SCE challenged the metering industry to create a high-quality, safe, reliable and functional smart metering product. Campbell will also discuss how the utility integrated stringent quality and project management principles throughout the program’s development and implementation stages. Note: To register for next week’s 2011 Energy Forum for Process Excellence, being held at The Westin Oaks in Houston, click here.